The 33-year-old was gunned down outside his clothing shop. Lt Chris Ramierez of the Los Angeles Police Department told media at the scene of the shooting that they were looking for a black male suspect. Nipsey Hussle’s debut album Victory Lap received a nomination for best rap album at this year’s Grammy Awards, where he was nominated against Cardi B, Mac Miller, Pusha T and Travis Scott. Writing on Instagram, Pusha called him a “rare breed” adding: “Sad to see you go Nip, I’m only finding peace in knowing you are blessed… I was honoured to share in such an amazing year with you musically. 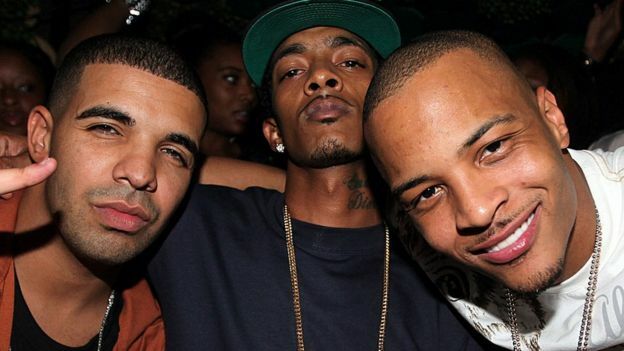 Drake, who won a Grammy on the same night and recorded the 2009 track Killer Nipsey Hussle, also took to Instagram to pay tribute. “My whole energy is just at a low right now hearing this,” he wrote. “We just linked for the first time in years and said we were gonna do a new song this summer cause it had been too long. Other to pay tribute included rapper J. Cole and producer and artist Pharrell Williams. 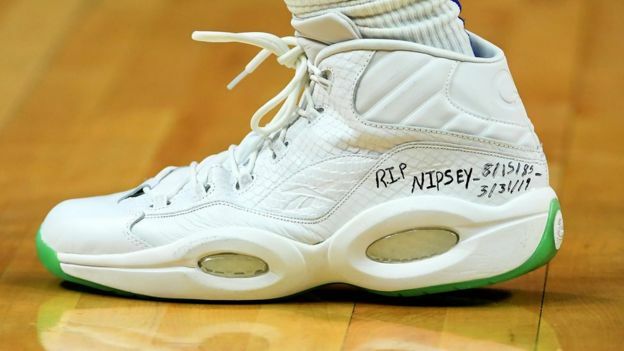 Los Angeles Clippers basketball player Montrezl Harrell wrote his own tribute on his trainers to the rapper. Nipsey Hussle, whose real name was Ermias Davidson Asghedom, grew up in south Los Angeles and was a member of the Rollin’ 60s street gang when he was a teenager.